The Gurkha custom of giving the Kothimora to a retiring officer has come a long way since the early 19th century and still lives on..
Another important, praised and treasured khukuri of a Gurkha that holds a special place in his heart and mind. A khukuri that would remind him of his deeds, services, loyalty, knowledge, comradeship, bond, emotion and above all the legacy that his forefathers upheld with pride, dignity, courage and honor, and with life. The Gurkha custom of giving the Kothimora to a retiring officer has come a long way since the early 19th century and still lives on to honor and to recognize the officer’s 100% of all as a soldier and as a worthy man. With the Service No.1 (Current Issue) and Service Ceremonial (Dress Knife) going to a new recruit, the same recruit now an officer, will get a “Regimental Kothimora” when he retires. His long service, active duty, loyalty and recognition will earn him a Regimental Kothimora from his regiment/company. This exclusive Kothimora mostly stays with him throughout his life. 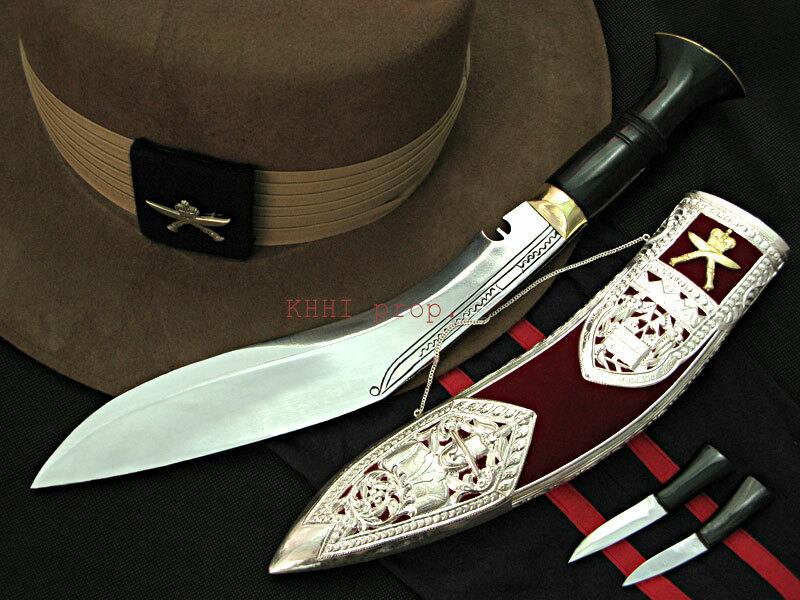 This innovative and exclusive “Regimental Kothimora” khukuri made by KHHI is for this very occasion and for the very man himself. Made from pure silver filigree and molded skillfully embracing a Gurkha’s background and his tradition, this khukuri truly honors the man and shines in the occasion. On the scabbard near by the throat, his “Regimental cap badge” mounted (gold plated), for which he gave most of his adulthood and at the sometime accomplished so much. The central carving/molding section defines him, his root, his culture and his background. “Hills and mountains” at top with sun rising up, is where he lives - “Laligunras” or “Rhododendron” which he grew up seeing and playing - His small “Hay thatched mud-made home” where his heart always is - His “Halo” or “oxen-drawn plough” by which he makes a living and looks after his family – a set of “Two Nepalese crossed flags” refers to his unconditional and great love for his country and countrymen - Last but most important, his principle and also the famous Gurkha proverb, “Kaphar hunu bhanda marnu nai jaati” or “Better to die than to be a coward” in English, that he lives and dies by it; courage over cowardliness and death over shameful life. The bottom front tip (chape) section exhibits a typical “Gurkha” in uniform with his famous and signature Gurkha Hat. This figure is decorated by flowers and leaves and overlaid by circular carvings in boundary, to pay tribute and respect to the honorary man. Right behind the Gurkha figure is a “Khukuri knife” displayed over paddy plant, the signifier of a Gurkha (the Gurkha Knife) and his livelihood. The khukuri, synonyms of a Gurkha with which he created history and upheld the extraordinary Gurkha legacy. It is a traditional domestic and a fierce weapon at the same time in a hand of a Gurkha. A Gurkha without a khukuri is unimaginable and incomplete. Thus a “khukuri” is exhibited in the Regimental Kothimora, without it it would not have been concluded. Attractive traditional carvings are also imprinted all over the scabbard to beautify and adorn the whole look. A silver chain is also fixed in the front edge of the scabbard to further enhance the beauty that also gives an attractive look when put on stand for display. All the silver work is laid out over a special smooth velvet background that varies according to the regiment’s regimental color. 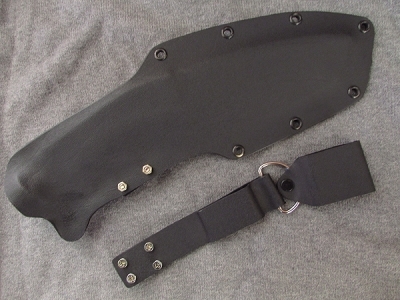 Regimental Kothimora has a standard kukri knife made from high quality materials and made by skilled Kamis. It has highly polished fixtures made brilliantly to suit the scabbard and to support the amazing Gurkha legacy and glory. Normal Tree branch Stand comes free with this kukri. Size of blade: 10.5 inch approx.